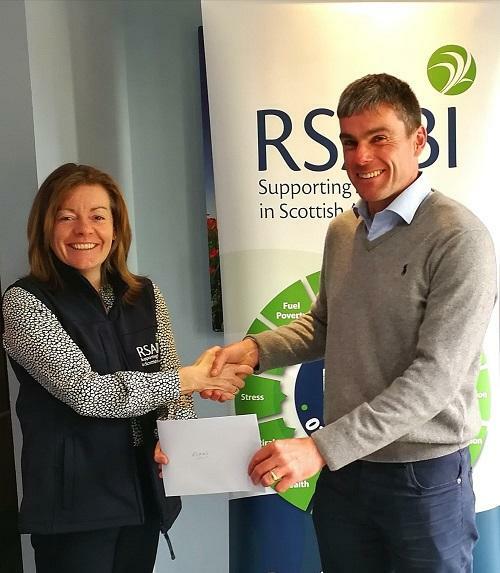 Whether you wish to support RSABI via a one off gift, or on a more on-going basis, your contribution is greatly appreciated and will go towards making life a little better for someone suffering hardship. If you are a UK tax-payer, and pay at least as much tax in any one year as you donate to charity, then through Gift Aid you can add value to your donation. For every £1.00 you donate, RSABI can claim 25p from H.M. Government. Just click the donate button on our website to access the virginmoneygiving.com donation site. It provides a fast and effective way to give direct to RSABI. Just follow the instructions! Please send all donations to: RSABI, West Mains of lngliston, Newbridge, Midlothian, EH28 8NZ. Please print and complete the appropriate section of the Donation Form and return it with your cheque or card details. Alternatively, telephone the office to complete your donation over the phone. Please remember to gift aid your donation! This is suitable for donors who wish to pay a regular amount each month or year. Please visit and complete our online webform. Remember to gift aid your donation! You may wish to join as a member and use your membership fee as a way of donating regularly - to see how, visit our membership page. The Inland Revenue has introduced a scheme that will allow taxpayers the option of donating some or all of any tax repayment due to them through their self-assessment tax return. The donations will be made by the Inland Revenue direct to the charity and can be gift aided. If you wish to donate in this way to RSABI, please quote our charity's unique code LAA13VG on your tax return. Anyone can join Give as you Earn if their pay or pension is taxed through PAYE and their employer offers a scheme. Giving direct from your pay is tax free. You can visit the Give as you Earn website for more details. Gifting shares is an extremely efficient and simple way of helping RSABI. Gifts of shares are exempt from tax and you can set the value of your gift against your income tax liability. For more information, please contact us.